Hungry but too busy to go out and grab food? Honestbee will deliver them to you! This deal gets you a promo code for RM50 off your total purchase on the honestbee app, so treat yourself and your family and order your food from their list of top-notch restaurants, which includes Ben's, Plan B, Wendy's, Lobbee Thai, and more! All you have to do is just sit back, relax, and wait for your food to arrive at your doorstep. Click here to get free honestbee promo code for RM50 off online food delivery, with minimum spend of RM60. Valid only at honestbee.my via honestbee app. Redemption period till Oct 6, 2017. 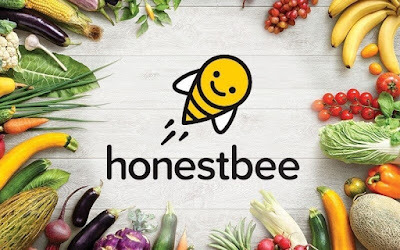 Honestbee Promo Code only applicable with minimum spend of RM60. Not valid with other coupon codes unless otherwise stated. Valid only for the areas which are serviceable by honestbee.